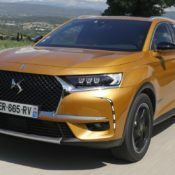 So for those who are not satisfied with the 130 and 180 models, Citroen has now launched the DS 7 CROSSBACK PureTech 225 petrol, which is the most refined version of the charming SUV. The new engine is gutsy, smooth, and also pretty clean and efficient thanks to some really clever technologies. 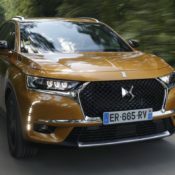 The four-cylinder petrol engine in the DS 7 CROSSBACK PureTech 225 features Petrol Particle Filter and optimized catalysts, as well as a new-generation oxygen sensor for optimum combustion. 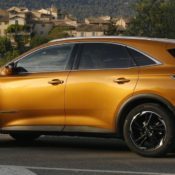 As a result the 225 horsepower engine enjoys a 6 percent reduction in fuel consumption and emissions compared with the smaller 210 THP engine, emitting only 135 g/km CO2. The unit comes with a new EAT8 (Efficient Automatic Transmission 8-speed) gearbox which features an Eco ‘Freewheeling’ mode which disengages the gearbox when the driver lifts off for speeds between 12mph and 80mph. This helps with the efficiency, along with other technological highlights such as Valvetronic and redesigned turbo system featuring electric waste gate, improved turbine and compressor yield. 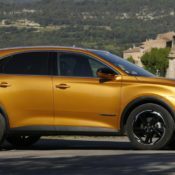 The DS 7 CROSSBACK PureTech 225 joins in the UK lineup the PureTech 180 petrol and a couple of diesels, including BlueHDi 130 with a manual gearbox and the BlueHDi 180 with an automatic gearbox. It starts at £34,990 and comes in Ultra Prestige, Prestige and PERFORMANCE Line models. 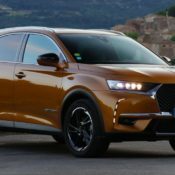 If you still aren’t satisfied, you need to wait for the DS6 CROSSBACK plugin hybrid which will be launched later with 300 horsepower. 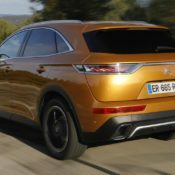 The post DS 7 CROSSBACK PureTech 225 Launches in the UK appeared first on Motorward.